Find resorts in Anaheim, CA and other fun things to do. View our list of attractions, activities, events, restaurants and visitor information. Situated in Fullerton Artistic Resort Like Home provides accommodation with a private pool and private parking. Guests staying at this holiday home have access to a fully equipped kitchen.The private holiday home is equipped with a flat-screen TV and 4 bedrooms. Swimming Pool,Outdoor Pool, Non Smoking Rooms. Apartment-style suites with full kitchens and free internet near Disneyland make a stay at the Greenwood Suites Anaheim Resort a lot like home. Free Internet,Outdoor Pool, Pets Allowed, Non Smoking Rooms. Free Wi-Fi complimentary breakfast in-room microwaves and a heated outdoor pool give the Cortona Inn and Suites Anaheim Resort an edge with our guests. Free Internet,Outdoor Pool, Non Smoking Rooms. Ultra-close to Disneyland and newly renovated rooms the non-smoking Courtyard by Marriott Anaheim Resort/Convention Center is tailor-made for families and business travelers. Free Internet, Swimming Pool,Outdoor Pool, Restaurant, Non Smoking Rooms. Currently as low as $63.75/night! With complimentary breakfast free parking and in-room conveniences like microwaves mini-fridges and free Wi-Fi the non-smoking Days Inn & Suites Garden Grove features essential amenities at a rate that won't bust your travel budget. Free Internet,Outdoor Pool, Free Breakfast, Non Smoking Rooms. Spacious apartment-like rooms with free Wi-Fi access just a two-minute drive from Disneyland-« are what our guests have come to expect at Dolphins Cove Resort.Outdoor Pool. Currently as low as $108.48/night! Free Wi-Fi delicious dining and a rooftop pool close to the wonderful world of Disney make the 100% non-smoking Doubletree Guest Suites Anaheim Resort/Convention Center one of our's most popular area hotels. Swimming Pool,Outdoor Pool, Non Smoking Rooms. On-site dining free internet and a pool all within walking distance of Mickey and friends make the non-smoking Fairfield Inn Anaheim Resort a hit with our families. Free Internet, Swimming Pool,Outdoor Pool, Restaurant, Non Smoking Rooms. Situated near Anaheim 3.6 km away from Disneyland Great Wolf Lodge Southern California features an 84-degree indoor water park with 16 thrill rides and water slides. Five restaurants are located on site. Each air-conditioned guest accommodation offers free WiFi. Free Internet, Indoor Pool,Outdoor Pool, Restaurant, Non Smoking Rooms. Wallet-friendly rates free Wi-Fi on-site dining public transit and a poolside bar make the Holiday Inn Anaheim Resort the savvy traveler's choice for our guests headed to the area. Free Internet,Outdoor Pool, Restaurant, Non Smoking Rooms. Currently as low as $116.99/night! Guests feel welcome with free perks like breakfast and Wi-Fi at the non-smoking Holiday Inn Express and Suites Anaheim Resort Area which is a short walk from Disneyland. Five floors have 96 contemporary rooms at the non-smoking Holiday Inn Express. Free Internet,Outdoor Pool, Free Breakfast, Non Smoking Rooms. With perks like free Wi-Fi and free breakfasts the non-smoking Homewood Suites by Hilton Anaheim Resort is a good base when visiting Disneyland Park which is a block away. Free Internet, Swimming Pool,Outdoor Pool, Non Smoking Rooms. Poolside movies for kids 24-hour amenities and complimentary breakfast and Wi-Fi add fun and convenience to the Hyatt House at Anaheim Resort Convention Center located near I-5 and Disneyland. Free Internet, Swimming Pool,Outdoor Pool, Non Smoking Rooms. Free breakfast free Wi-Fi an outdoor pool and Disneyland-« a mile away are the highlights of the non-smoking Hyatt Place at Anaheim Resort/Convention Center. Opened in 2014 the non-smoking Hyatt Place has 178 rooms in a five-floor building with stylish modern interiors. Free Internet, Swimming Pool,Outdoor Pool, Non Smoking Rooms. 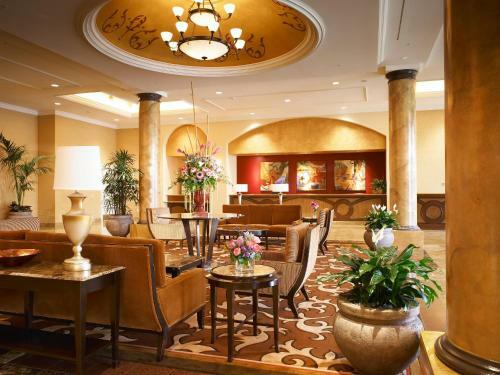 The free breakfast free Wi-Fi and thrilling location lead our guests to lavish praise on Quality Inn & Suites Anaheim Resort. Free Internet,Outdoor Pool, Non Smoking Rooms.